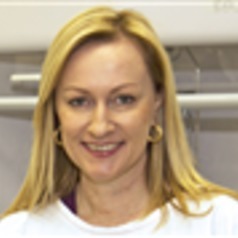 Dr Wood is Professor of Biomedical Science and Registered Nutritionist who leads the nutrition team, within the Priority Research Centre for Healthy Lungs at the University of Newcastle, Australia. Prof Wood’s research focuses on studying the role of nutrition in airways disease, with a particular interest in obesity, fatty acids, antioxidants and fibre. She has published >110 peer reviewed manuscripts in this area and has contributed to developing the evidence base to inform disease management guidelines, such as the Australian Asthma Handbook and the National Asthma Council of Australia ‘Healthy Lifestyles’ brochure series. Her research has been recognized by various awards, including the Nutrition Society of Australia Research Award. Dr Wood serves as President Elect of the Nutrition Society of Australia. She also serves as Associate Editor for Respirology and Editorial Board member for Nutrients and the Journal of Human Nutrition and Dietetics.